If you’re in the market for smartly designed, energy-efficient homes, do yourself a favor and check out the housing market in Spring Mill Plantation. A Beazer Homes development, it’s situated in the charming small town of Calabash, a location that gives residents easy access to everything from nearby beaches to the myriad attractions of Wilmington and Myrtle Beach. When you opt for a home in Spring Mill Plantation you won’t only save on energy bills, you’ll save on gas as well. The Calabash, NC real estate market features an extensive array of properties, from sprawling waterfront estates to condos to vacant land. There’s nothing here quite like Spring Mill Plantation’s selection of homes, however, which stand out from the crowd not only because they are all ENERGY STAR® qualified, but also because they are superbly crafted yet reasonably priced. Spring Mill Plantation offers homebuyers a wide range of floor plans to choose from. These include the three-bedroom and two-bathroom Beaufort, the similar but larger Georgetown, and the three to four-bedroom Savannah, which has an optional second floor for those looking for even more space. Those who invest in homes here will also get to enjoy the community’s various amenities, such as an elegant clubhouse with a pool and fitness facilities as well as a network of sidewalk trails. Looking for more information on the Spring Mill Plantation real estate market as well as your other options in homes for sale in Calabash, NC? 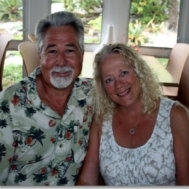 Please don’t hesitate to get in touch with us, Frank and Karen Baker, at Sunset Beach and Beyond Realty today. New Homes in Calabash… Present Time Prices YOU NEED TO SEE! !